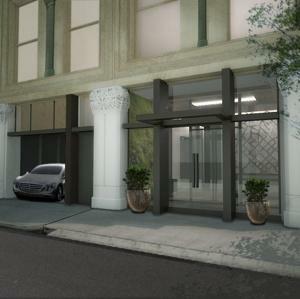 NY Post – The city’s first million-dollar parking space is on the market. A huge status symbol, huh? Know what else is a huge status symbol? Not buying a million dollar parking spot to prove to people you have a lot of money. If anybody has ever deserved to be stapled by their shirt onto a wall with the words “EAT ME” sharpied on their forehead… it’s the guy who buys this parking spot. This entry was posted in Movies, News and tagged 1 million dollar parking spot, eat me encino man, encino man. Bookmark the permalink.